When it comes to successes, Blizzard easily has one of the best track records for their games; with each series becoming a brand unto itself. This kind of notoriety and brand recognition is something that most companies dream about for their products and Blizzard has been taking things further. With five different brands being supported, Blizzard has been using a very smart strategy to grow their fan base from just "Diablo fans” or "Starcraft fans" to being "Blizzard fans." 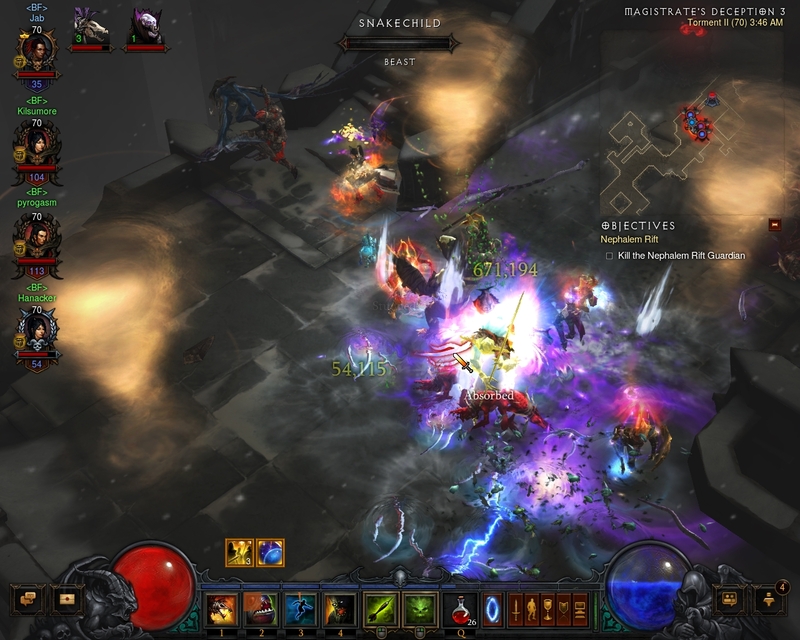 Blizzard's overall brand is split between five different series at the moment (with a sixth on the way), but more importantly these are five different genres: ARPG, MMO, MOBA, Strategy and CCG. This allows each game to effectively serve a different consumer base without having to worry about one game taking the fan base from another. What Blizzard has been doing very slowly is integrating their different games together in order to attract consumers to Blizzard as a brand instead of each individual game. 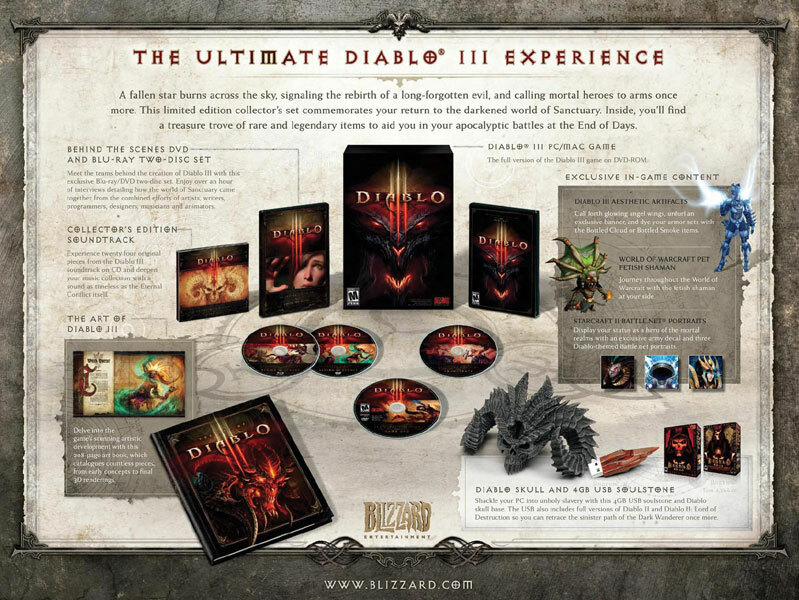 Their first try at this has been promotions in collector's editions of games; each collector's edition features unique bonuses for Blizzard's other titles. For example, buying Diablo 3's collector's edition gave you a rare pet for World of Warcraft and rare portraits for Starcraft 2. This kind of synergy is a great marketing strategy as it does two things. First, it rewards consumers who play more of Blizzard's titles; the more titles they have the more rewards they get between them. Second, it incentivizes people who were only playing one or two Blizzard games to try the other games in the lineup; they might try out the rewards they got and stop, or they will find a new game they like and will play that as well. Either way Blizzard comes out as the winner as they get more people looking at their game and the entire brand as a whole becomes stronger. But Blizzard has been slowly taking this further in recent months between their five hits and has created an amazing marketing strategy. Lately with Heroes of the Storm, Blizzard announced that anyone who owns Diablo 3 would get Diablo unlocked in Heroes of the Storm for free. There have also been special promotions to unlock rare pets in World of Warcraft and exclusive Heroes of the Storm mounts for playing each game. This kind of cross game marketing takes the points mentioned above and makes them more tantalizing for consumers. It no longer just pays off to buy different games from Blizzard, but playing them will give you more content as well. They have already announced that with the latest season of Diablo 3, people can unlock special mounts for Heroes of the Storm and there will be exclusive banners for Diablo 3 coming from playing Heroes of the Storm. What's interesting is that Blizzard is the only company I can think of that can do this. No other game developer has both a unified distribution platform and games of completely different genres to link everything to. And this takes us back to what I said at the very start, this kind of cross game marketing gives Blizzard a very effective way to grow their brands. The goal of cross game marketing and what Blizzard is doing, is attempting to take their separate fan bases and combine them into one: Someone who doesn't just play World of Warcraft or Hearthstone, but someone who plays everything Blizzard. 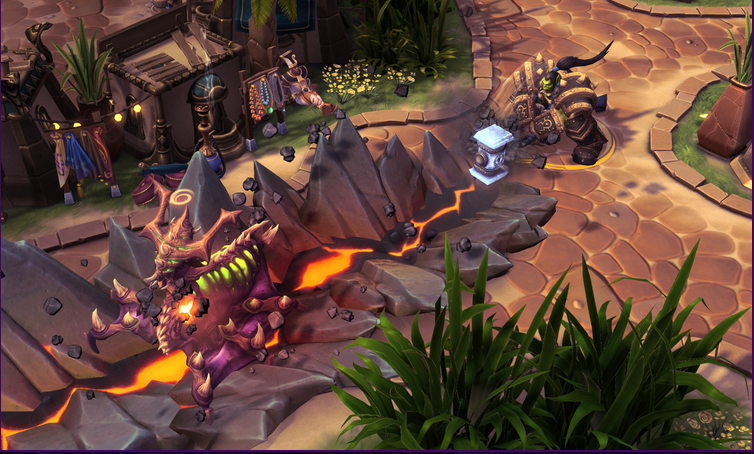 The implications of cross game marketing could be huge if Blizzard takes this further. Imagine if getting a character to level 70 in Diablo 3 could unlock booster packs or arena plays in Hearthstone, or a successful ranked match in Heroes of the Storm gives you temporary experience boosts or magic find in World of Warcraft; in other words, playing one Blizzard title would be like making progress in all of them. One of the biggest killers of any video game built around long term progression is getting burnt out trying to get to the good stuff, but if you could make progress and be rewarded in a game by playing a different game, it becomes a lot harder to burn out on one game when you can switch on and off at will. With that said however, there is a risk to this kind of marketing plan. The balance has to be just right: The rewards have to be distinct and great enough to motivate someone to play, but not so game changing that single game players would be punished. That's why in game bonuses to the mechanics and aesthetic rewards work the best; the former is simply enhancing the base game experience without changing it and the latter has no impact on playing. Blizzard's effort to combine their brands and fan bases is an effective way to market their titles to their entire fan base instead of one at a time. Given how this has worked with Hearthstone and Heroes of the Storm, I would bet money that they are planning something similar with Overwatch to bring it into the group and have cross game promotions tied to it. By unifying their games under one brand like this, Blizzard has figured out a way to promote their games and series with their other ones; providing value to their consumers and making it more attractive to be a Blizzard fan. We've seen companies in the past make use of loyalty programs like Club Nintendo, but Blizzard is the first to turn their games into promotions.